If you’re on our website chances are you’re looking for help – either for yourself or someone you hold very dear. We understand your pain and your suffering and we would love to help you. 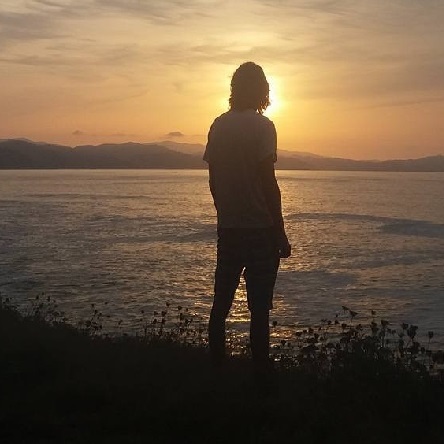 We have many years of combined experience in successful addiction recovery treatment and our Centre is set in the tranquil and beautiful surroundings of Plettenberg Bay which is situated 520 km from Cape Town. We are totally dedicated to introducing clients to an improved way of thinking that will positively impact behaviour and lead towards a more constructive and meaningful life. Twin Rivers Rehab is a premier, International, licensed treatment centre whose doors are open all year round for clients from all over the world needing professional assistance with trauma that is directly connected to addiction and mental health problems. Twin Rivers has proudly introduced an opportunity for essential thinking and behavioural changes to clients from Africa-The Middle East-Europe-Asia and the USA. 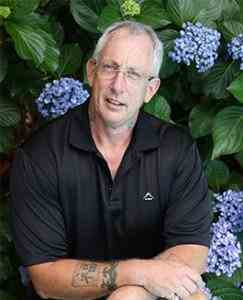 Adrian Rooke is Twin Rivers addiction consultant based in the UK. His role is to assist with enquiries from clients and their families who use the UK contact telephone numbers at the top of this page. Adrian is a highly experienced therapist who will assess the client’s needs telephonically or in an arranged private meeting. Twin Rivers also has a consultant/Interventionist based in London who also assesses new clients-carries out family interventions and chaperones clients to Twin Rivers Rehab when required. Clients who are referred to Twin Rivers Rehab through any of our consultants can continue working with them on their return to the UK and attend their aftercare programme as part of their recovery structure. All Twin Rivers Rehab consultants facilitate individual and group therapy sessions for clients to help support those early, fragile stages of the recovery process. Twin Rivers also developed working relationships with therapists and psychiatrists in Holland-Belgium-Kingdom of Saudi Arabia-UAE. Twin Rivers Rehab is fully aware that in order for our clients to grow and sustain their recovery there must be a service promoting a continuum of care that recognises and respects client individuality. Twin Rivers was founded by David and Caroline Briskham in March 2011. 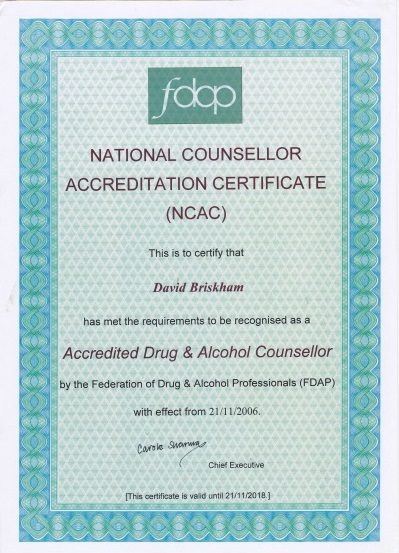 David is a UK Accredited Addictions Therapist with the Federation of Drug & Alcohol Professionals UK. 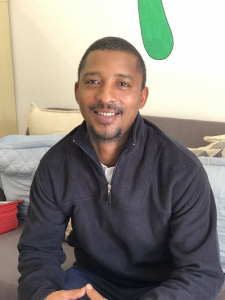 With over 23 years of continuous recovery from alcohol, drugs, gambling and codependency, David is living proof of the triumphs of sustainable recovery that Twin Rivers Rehab strives to offer to all who come to Twin Rivers Rehab. 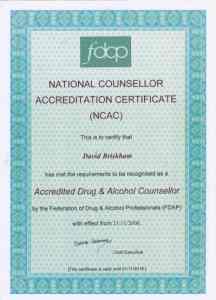 David trained initially at Broadway Lodge in Weston-super-Mare UK, the longest operating addictions treatment centre in Europe. Twin Rivers Rehab has become increasingly recognised Internationally as South Africa’s most effective treatment centre for clients needing professional assistance with addiction disorders - mental health disorders such as depression - dual diagnosis - trauma work & personality disorders. A combination of affordable rates, an International multi-disciplinary clinical team, diverse and comprehensive weekly programme, warm climate, friendly South African culture and intense focus on client individuality in a beautiful setting cannot be easily found anywhere else in the world! 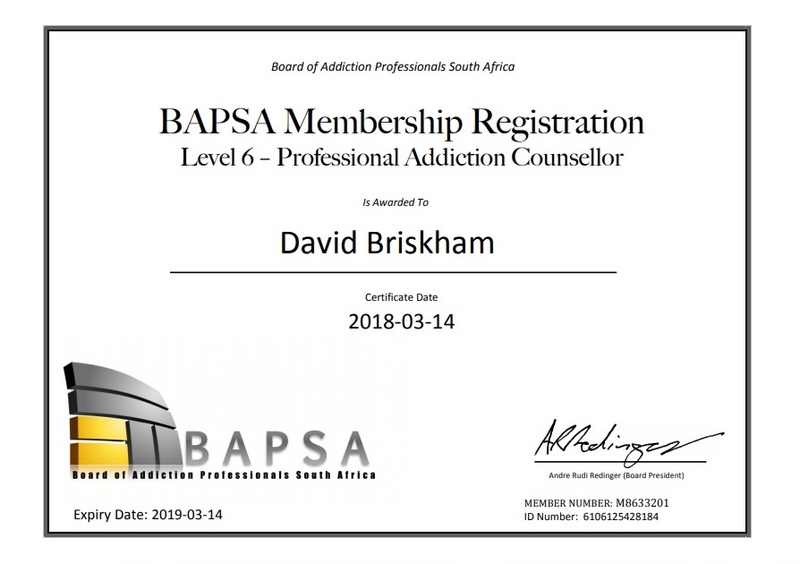 David Briskham is a stern but extremely kind hearted man and I honestly think that during my 2-month stint, he and his team may very well have saved my life. I am now 280 days clean and my life has completely turned around. I can safely say that I am a happy, healthy and honest man…. I was a 24/7 user who couldn’t get a day clean before being sent to Twin Rivers. 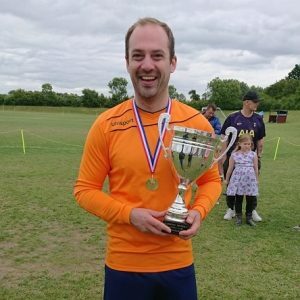 Thanks to their unique approach and the expertise/understanding of their staff, I’m coming up on a year clean and sober, have begun to rebuild relationships and live a respectable life again….. I spent two months in Twin Rivers as an in patient and a good few months in aftercare but our connection will last a lifetime. I can’t thank them enough for what they did, and continue to do, for me. If they can put me back together they can put anyone back together! 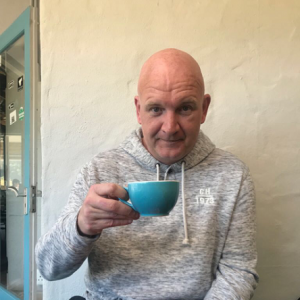 …..
David is a recovering addict, alcoholic, gambler and co-dependent who initially trained as a chemical dependency counsellor at Broadway Lodge (UK) which was established in 1974. David moved to South Africa in 2001 and became Accredited by the Federation of Drug and Alcohol Professionals UK in November 2006 Federation of Drug and Alcohol Professionals (FDAP). David & Caroline Briskham established Twin Rivers Rehab in 2011 and is widely recognised as a premier treatment centre in South Africa. In 2018 David celebrated 23 years clean and sober. 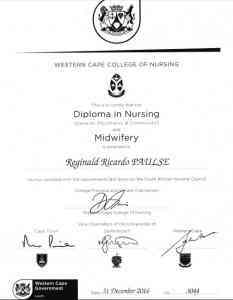 Piwe graduated with a Bachelor of Social Work and Bachelor of Theology and practising as a Social Worker at Twin Rivers Rehab. 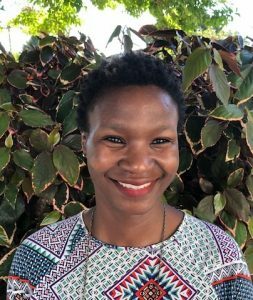 Piwe refers to her Social Work profession as a calling and is a member of the SACSSP. 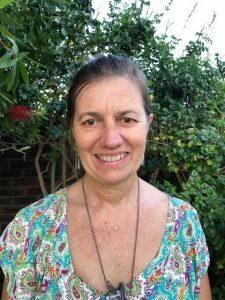 Her duties involve individual counselling, group work and family counselling, individualised treatment plan and work closely with the Twin Rivers team in making sure that clients get the best treatment they need in order to overcome addiction. Piwe provides an environment of compassion and support to help clients and families overcome the challenge of drug and alcohol use. Piwe believes that no one was born with a trademark written addiction and that anyone can get out of addiction regardless of the client’s level of motivation on arrival. Twin Rivers retains the services of a comprehensive range of consultants to ensure the health and well being of our clients. See More.